My little girl was about to turn 4 and we wanted to have a special party for her with all her little friends. She has 4 brothers so it was time for her to be spoiled and have a fun girly party. From my very first contact with Natasha at Mesmerized Celebrations I was so excited. Just the thought of having someone else do all the planning and organising of a birthday party for me was a blessing. Natasha was very accommodating and full of information and ideas. 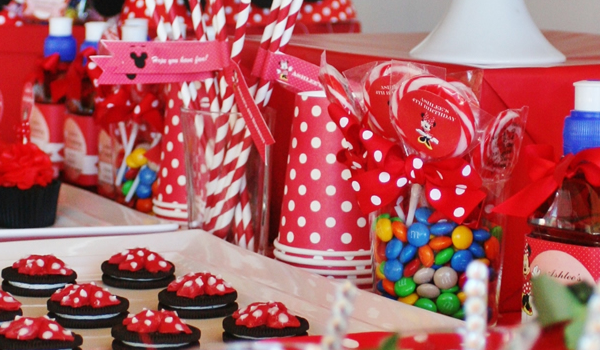 My daughter had decided on a Minnie Mouse party, so I told Natasha our theme and the party date details and off she went on preparing and creating our party. Very quickly I received the personalized Minnie Mouse party invitations and envelopes in the mail, complete with handy magnets attached so our guests could stick them on the fridge and not forget the important date. Ashlee was in love with her invites and she kept one for herself as a reminder of her special day. After the invites were out, we decided on our menu. There were many options to choose from and we weren’t limited to having set items from set menus. This was fun to choose as I gave Ashlee the choices for what she wanted to have at her party. She chose well too! After a couple of phone calls and emails between Mesmerized Celebrations and myself it was all done! The easiest birthday party by far I’ve ever done. On the day, Natasha arrived with her very handy helper of a partner and they set up. They were both extremely friendly, lovely and dedicated to their work. I was in and out getting the kids ready and didn’t take much notice of what they were creating and they went about their work very efficiently. When I came back into the room when they were done, I was absolutely blown away! They had created the most amazing display I had ever seen. The detail on everything was extraordinary. Right down to the cutlery with handmade bows tied and glued into place, little crystal gems on the spoons and Ashlee’s name everywhere. Everything had been catered to the theme of our party. The napkins and cups where all matched, red with white spots and even the straws. Nothing was missed in detail. The party hats were even customized with little Minnie mouse ears attached! These were the cutest ever. We were in awe! As too was everyone who came to the party. The quality of the food was as it looked. Amazing. I have to say, that the fruit was the freshest and tastiest fruit I had tasted in a while. The kids had a ball choosing what to eat first. The Minnie mouse bow cookies where a hit along with the jelly and fruit cups. I’m pretty sure they all loved the lolly pops too because they were the first to go! While the party was going on, the children danced away to a CD of music that was complimentary to Ashlee from Mesmerized Celebrations. 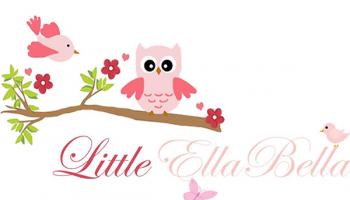 We had the choice of ABC kids music or the latest top 40 type music suited to kids. This was great for when we were playing party games! When the party was over Natasha came back and cleaned up the desert table. I love this lady!! There was nothing for me to do. She did it all. She left us with the gorgeous personalised Minnie mouse party banner with Ahslee’s name on it and it now hangs in her room for years to come! A perfect keepsake from a perfect party. Thank you Mesmerized Celebrations for making this the best and easiest birthday party ever. You can tell that you love what you do Natasha! !